This year’s event involves community members including Beaverhead County High School students and teachers, Montana Western faculty and students, Stockman Bank, the Montana Western Foundation and various residents who donated chairs to be transformed for the “Chair”ity Auction, a special fundraiser for Education Department students at Montana Western. The upcoming event also includes an induction ceremony for this year’s honored alumni teachers, a social, drinks and hors d’ourves. 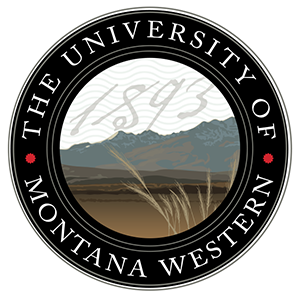 According to Roxanne Engellant, Director of the University of Montana Western Foundation, The Night of Stars event was originally the idea of Professor Vikki Howard and the Education Department. The Foundation and the Education Department then worked together to create an event to recognize the dedication and impact of the outstanding Montana Western education alumni. “This year’s event will be the seventh Night of Stars, and the excitement around the event continues to grow each year. I think everyone can name one teacher who made a difference for them and we want to acknowledge and celebrate those educators who spend a lifetime making a difference for their students,” Engellant said. Chair of the Education Department at Montana Western, Professor Vikki Howard is excited to be celebrating inspiring educators with the community. “Over the past 125 years, students who became teachers at Montana State Normal School, the University of Montana Western and all names in between, have populated thousands of classrooms, shaping the futures of hundreds of thousands of students,” Howard said. 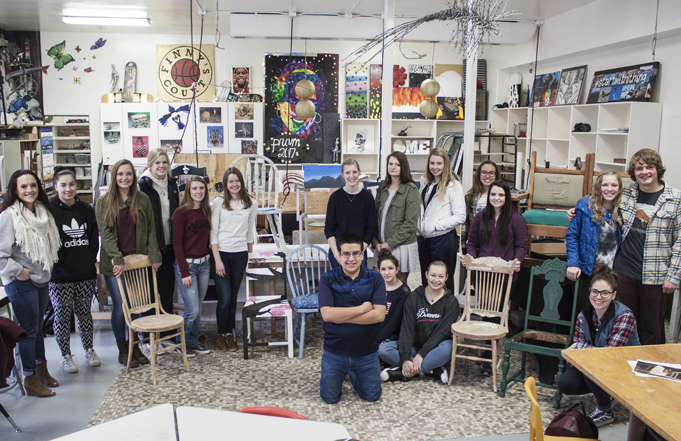 Students in Angela Racicot’s art classes at Beaverhead County High School have been working hard on their challenging final projects: reimagining what old chairs could become and transforming them into works of art for the “Chair”ity Auction. Donated by various members of the community, the chairs are being turned into art pieces, but first, required hours of sanding, repair work, recovering seats and sewing new cushions. The chairs will be auctioned at the Night of Stairs “Chair”ity Auction to raise funds for Montana Western Education Department scholarships for future teachers. The task of turning furniture into art brought a new set of challenges to the students, but also gave them the opportunity to try new techniques, including decoupage, vinyl cutting, and applying colors and textures with a variety of paints and stains. High school student Emily Knight, a junior, took to the challenge with gusto. “I loved remaking the chair into something new, it was a challenge compared to painting on a canvas. I’m excited to see the auction and the final result for the community,” Knight said. When the students needed help with repairing or reconstructing the chairs, Woodshop teacher and former UMW football player Jason Truman was happy to provide assistance. “This was a fun project that involved helping the students to repair and sometimes transform the chairs into something new. The Woodshop class is continually looking for ways to reach out and help the community, so this project was great for us,” Truman said. A wide-range of themes were explored for each chair by the students. Some of the chairs were inspired by nature including flowers and trees. A wide range of color palettes were explored, from black and white to the colors of a sunset. Students drew inspiration from music and history, while others chose to create art by adding unique materials to the chairs including tile, mirrors, gold accents, maps, and hand-painted designs. Other students transformed their chairs into benches and aquariums. Angela Racicot, the High School Art teacher, provided insight and encouragement to the students during the project. Proceeds from the sale of the chairs in the “Chair”ity Auction will be used for scholarships for the Education Department at Montana Western for future educators. Education Professor Marlene Stonelake looks forward to the event each year. “The Night of Stars event presents an opportunity for UMW to not only showcase and honor these individuals, but to bring alumni together to celebrate. The stories that are told at the Night of Stars event provide meaningful, and often moving moments that reinforce the importance of the education profession and the impact that effective teachers can have on the many, many lives that they touch,” Stonelake said. The 2018 Education Hall of Fame Inductees are: Carey Swanberg, Harold Tusler, Rebecca Rappold, Mike and Becky Telling, and Ann Burk. The Night of Stars also gives the Education Department an opportunity to honor outstanding students who will soon become excellent teachers. The 2018 Night of Stars Outstanding Teacher Candidates are: Joey Paulsonmorgan, Lara Belice, Katlyn Skague, Jessica Reehl, and Jeremy Wells. 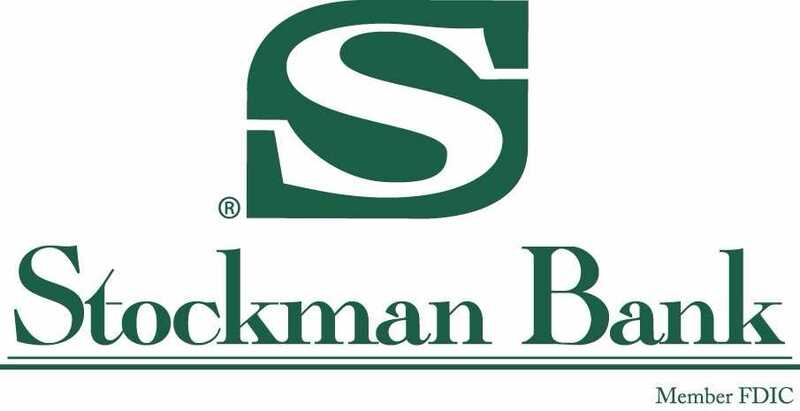 As sponsor of the event, Stockman Bank supports the important work of the community’s educators. Shane Puyear, President of Stockman Bank, is proud to partner with the University of Montana Western to support the Night of Stars event. The bank also sponsors two awards for education majors at Montana Western: the “Take Stock in Education” Scholarship awarded to a student majoring in education and the “Stock your Classroom” Award given to one of UMW’s graduating outstanding teacher candidates to stock their first classroom. 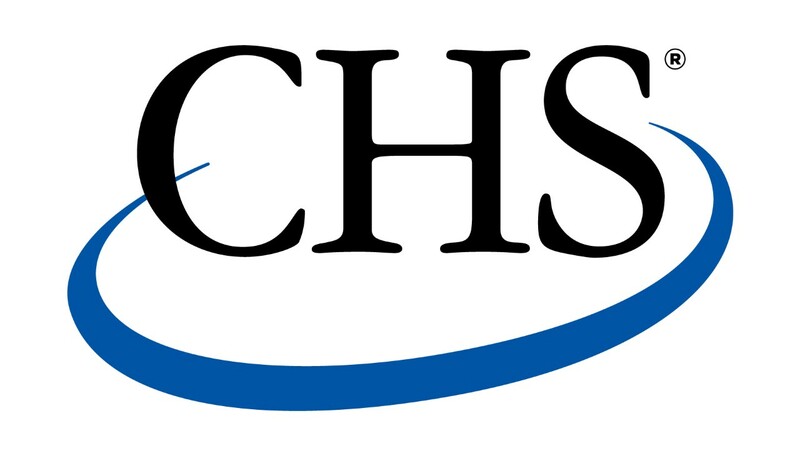 “We take great pride in supporting education within our local schools and across the state. It is also a pleasure to award a scholarship to a student majoring in education to help them along their academic journey and we enjoy and see a need in providing an award to a Montana Western graduate to stock their first classroom,” Puyear said. The University of Montana Western wishes to thank the community for all of its hard work to make this event a reality and our chair donors who, along with the support of the High School make the “Chair”ity Auction possible: Trina Lenmark, Michelle Husted, Shelli Schuett, Penny Boka, and Elaine Spicer. To attend the upcoming Night of Stars event, please register for tickets online at www.umwfoundation.org or call 406-683-7306. 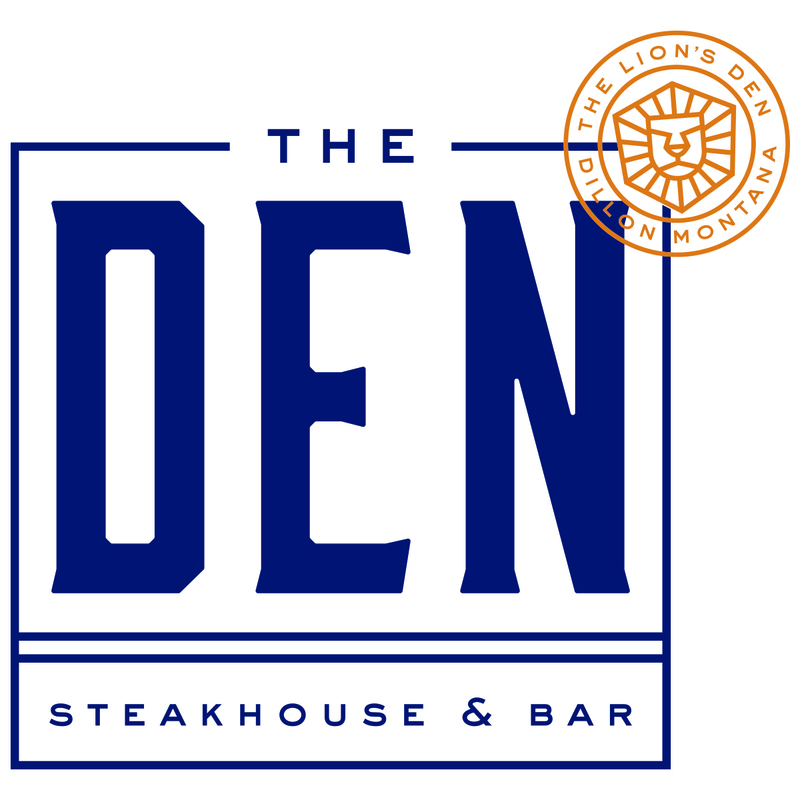 Tickets for individuals are $20, couples are $30 and include both the induction ceremony and reception. Montana Western students can attend the induction ceremony for free or both the induction ceremony and reception for $5. For more information about the Night of Stars, or if you would like to donate chairs for next year’s event, please contact Vanessa Graham by email at vanessa.graham@umwestern.edu, or call 406-683-7303.